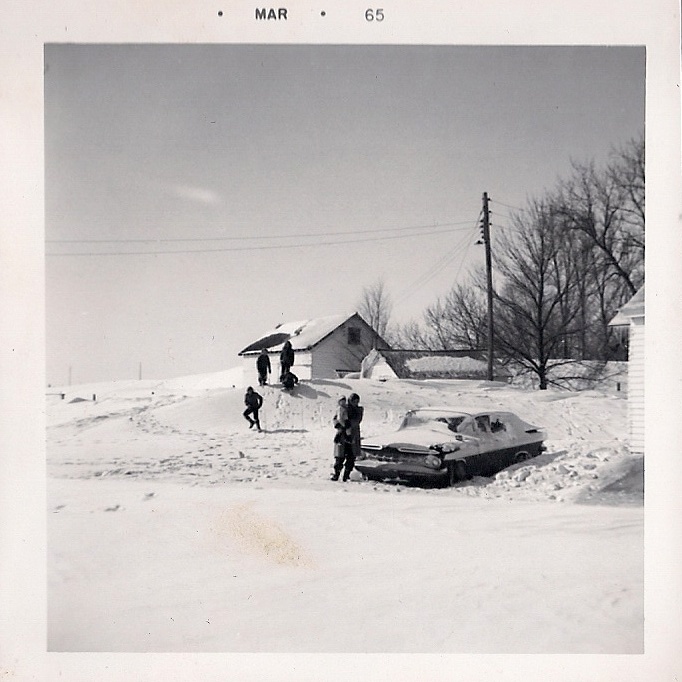 Our southwestern Minnesota farmyard is buried in snowdrifts in this March 1965 image. My mom is holding my youngest sister as she stands by the car parked next to the house. My other sister and two brothers and I race down the snowdrifts.